Ariel Soiffer’s practice focuses on technology-related transactions and advising clients on technology related matters. Mr. Soiffer’s clients are in software, wireless, telecommunications, consumer electronics, biotechnology, pharmaceutical, high technology, nanotechnology, education, green technology and finance industries, and span the range from established companies to companies that are at the formation stage. Mr. Soiffer represents clients in transactions ranging from bet-the-company transactions to day-to-day matters. On his clients’ behalf, Mr. Soiffer has drafted and/or negotiated complex outsourcing transactions, sales of goods with embedded software, research and development, prototype development and sponsored research agreements, and clinical research outsourcing agreements, among others. Mr. Soiffer has also assisted clients with mergers and acquisitions and initial public offerings. Mr. Soiffer provides practical insights to his clients based on his extensive business experience and his scientific and technology background. In 2009-2010, Mr. Soiffer won the ABA Law Students Division National Negotiation Competition. 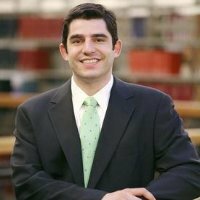 Prior to joining the firm, Mr. Soiffer was a legal intern for the Massachusetts Department of Telecommunications and Cable. Before attending law school, Mr. Soiffer was a senior manager at Diamond Management & Technology Consultants (now part of PricewaterhouseCoopers). While there, he had ultimate responsibility for several projects, leading presentations to members of the CxO suite on topics of strategic concern. Mr. Soiffer’s consulting work focused on business strategy, marketing and customer service. Mr. Soiffer also served as a summer research and development intern for Takeda Life Sciences Research Center in Ako, Japan. WilmerHale provides legal representation across a comprehensive range of practice areas that are critical to the success of its clients. The law firm’s leading Intellectual Property, Litigation/Controversy, Regulatory and Government Affairs, Securities, and Corporate and Transactional Departments participate in some of the highest-profile legal and policy matters. With a staunch commitment to public service, the firm is renowned as a leader in pro bono representation. WilmerHale is 1,000 lawyers strong with 15 offices in the United States, Europe and Asia. For more information, please visit www.wilmerhale.com.